Curl Stahl Geis has secured a legal victory for its San Antonio client Danbury Aerospace, Inc., which was embroiled in a contract dispute with another company. SAN ANTONIO, TEXAS, USA, December 27, 2018 /EINPresswire.com/ — The San Antonio-based law firm of Curl Stahl Geis has secured a legal victory for its client Danbury Aerospace, Inc., which was embroiled in a contract dispute with a company that acquired its assets three years ago. Specifically, the Texas state court judge in San Antonio ruled that defendant Continental Motors, Inc. (an Alabama-based company) must transfer all remaining funds held in escrow when it made the acquisition to Danbury Aerospace, return certain documents that it had relocated to Mobile, Alabama, and pay Danbury Aerospace’s attorney’s fees. 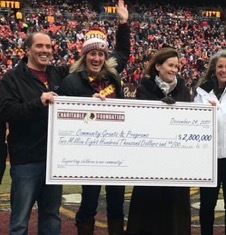 “This was a complete legal victory for our client,” said Paul Curl of Curl Stahl Geis. Prior to 2015, when it was acquired by Continental Motors, Danbury Aerospace manufactured, sold, and repaired aircraft engine components through its subsidiaries, which were also plaintiffs in the case. Shortly after the acquisition, Continental Motors shuttered Danbury’s former operations. 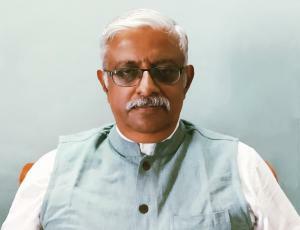 Under the terms of the acquisition, the parties established an Indemnity Escrow Fund and an Accounts Receivable Escrow Fund. According to court documents, Continental Motors paid over $2 million of the purchase price into escrow to protect it from specially defined claims and losses that might occur after the closing of the transaction, with any remaining balance to be paid to Danbury Aerospace. Ty Stoller, the President of Danbury Aerospace, said he was gratified with the outcome of the case. “We were always confident in our position, and we are glad that the court properly enforced our agreement with Continental Motors,” said Stoller. NEW YORK, NEW YORK, UNITED STATES, December 20, 2018 /EINPresswire.com/ — Demand for villas and vacation rentals for the beautiful tropical island of St Barts is one of the strongest in the Caribbean according to global vacation rental experts, Exceptional Villas. The company is experiencing a 40% increase in year on year bookings. 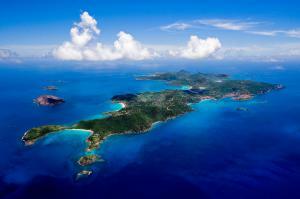 St Barts has always been popular with some of the world’s most famous people. 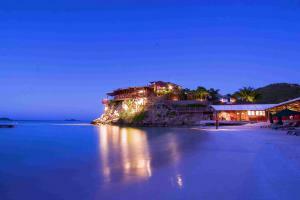 Roman Abramovich owner of Chelsea Football Club and one of the world’s most wealthy people chose St Barts to build his spectacular beachfront mansion. 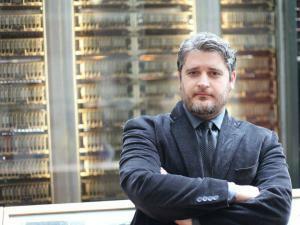 Billionaire Philip Falcone famously had his mansion on the market for US$57.4 million. Johnny Halliday, the famous French singer, owned one of the islands most beautiful and popular vacations rentals called Villa Jade. 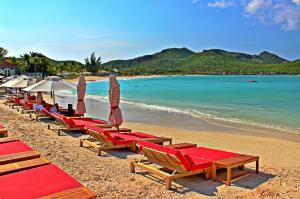 Other regular visitors to the island include The Kardashian Family, Beyonce, Jaz Z, Usher, Gwen Stefani, Gavin Rossdale and a clatter of the Victoria Secret models such as Alessandra Ambrosia and Miranda Kerr. Despite last years hurricane Irma, celebrities continued to flock the island. Regular visitors including Leonardo DiCaprio, Miranda Kerry, Alessandra Ambrosio, Jimmy Buffett, and Paul McCartney were all seen holidaying on the island last year as their way of showing solidarity. The additional demand for the 2019 season is partly due to the fact that the island has 30 additional luxury villas available for rent this season as well as the fact that many of the original villas have had a complete makeover and are now more beautiful and luxurious than ever before. Take for example beautiful Amancaya Villa which has had a total makeover. Some of the new luxury villas include Golden View, Wake Up, Pointe Milou, Zetes, Pyramide, Pelican, Murano, and Villa Carmen. 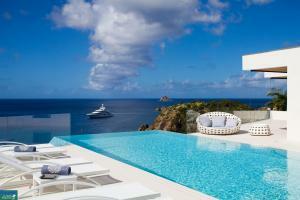 This new breed of villas has reached a whole new level of luxury on the island. Exceptional Villas have noted that clients who missed the island last year have all rebooked for the 2019 season. The company is also experiencing a large number of new clients booking for the first time. 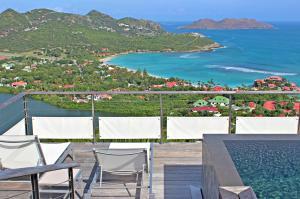 The other aspect that has really increased the demand for St Barts is additional airlift. British Airways and US aircraft operator Tradewind are working in collaboration making it easier for British and European travelers to reach the island. Access via San Jose in Puerto Rica is also very seamless with regular connecting flights available. Air France also offer connections wit Win air to the island. Owner and Ceo of Exceptional Villas commented "It is so wonderful to see the increased demand for this beautiful Island"
Exceptional Villas which is part of Dream World Travel Ltd has been in the travel business for over 25 years. Other brands include Dream Ireland and Villas Barbados. The standards of accommodation are extremely high, and prices range depending on location, size and level of luxury. The one thing they have in common though is they must all be exceptional, and they have all been handpicked and personally inspected. The company is one of the most trusted in the industry. If the rental properties do not reach these exceptional standards, they are rejected, and up to 95% of them are. Prices range from US$550 per night for a 2-bedroom condo to US$80,000 per night for a luxury mansion or private island such as Richard Branson’s Necker Island. The Exceptional Villas clients come from all over the world, but the one thing they have in common is that they have discerning standards and expect the best which is precisely what they receive. The company also offers a full and complimentary concierge service which includes all aspects of the client’s vacation from VIP airport arrival, ground transportation and the organization of Michelin standard chefs. ESCHBORN, HESSE, GERMANY, December 18, 2018 /EINPresswire.com/ — Hand luggage security trays at airports have until recently been overlooked as a health risk. A recent scientific study* has now proven that they are heavily contaminated with bacteria and viruses capable of causing infections which also could quickly develop into an outbreak of the flu and other epidemics. 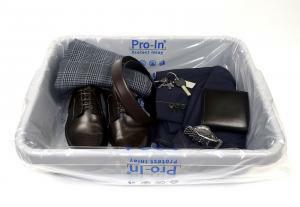 In response to this situation, the startup company Pro-In Protect Innovations has developed a special protective single-use inlay which minimizes the risk of infection from contaminated luggage trays. At the end of August 2018, the National Institute for Health and Welfare in Finland and the University of Nottingham in the UK published a study* funded by the European Union on bacterial and viral load at airports. Airport security trays, which are provided to scan hand luggage and other personal items, have been found to be the most heavily contaminated. Luggage trays pose one of the highest health risks and play a key role in the spread of epidemics and pandemics. 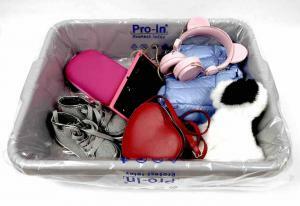 Pathogens can remain active in the luggage trays and on personal belongings for days. Nothing has been developed to combat this problem until now. The startup company Pro-In Protect Innovations, based in Eschborn, Germany, has now come up with a special protective inlay for luggage trays called Pro-In Protect Inlay. The inlay is placed inside the security tray and is immediately discarded after use. Direct contact between the surface of the trays and personal belongings is eliminated which prevents any contamination during the security check process. As Eckhard Melz from Pro-In Protect Innovations explains, “The protective inlay provides a reliable and hygienic solution which safeguards the health of everyone concerned. This simple measure minimizes the risk of infection from pathogens and contaminants.” The inlays are simple and quick to use, so they do not disrupt the airport security screening process. Using regenerated plastic material the product could help to manage the worldwide problem of plastic waste. Pro-In Protect Innovations GmbH (i.G.) is based in the town of Eschborn located in the southern part of the state of Hesse in Germany. The team led by Managing Director Saray González Marín and Director Eckhard Melz specializes in manufacturing and distributing healthcare products that are used in busy public spaces such as airports, large organisations and hotels. The Pro-In Protect Inlay luggage tray inlays minimizes the risk of infection when passengers and luggage are checked through airport security and help to minimize the threat of epidemics and pandemics. SMi Reports: Chief of International MilSatCom and other senior US DOD representatives briefing at the conference to discuss on Space Situational Awareness. 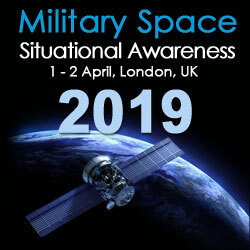 Ms Deanna Ryals, Chief of International MilSatCom, Space and Missile Systems Centre, US Air Force will be chairing day-two of the 14th annual Military Space Situational Awareness Conference, taking place in London, UK on the 1-2 April 2019. In addition, delegates will have the opportunity to meet and greet all the key players in this important domain at the exclusive evening networking reception, hosted by Gold Sponsor, ExoAnalytics, day-one at the conference. Register by the 31st January to receive £200 discount on your booking.